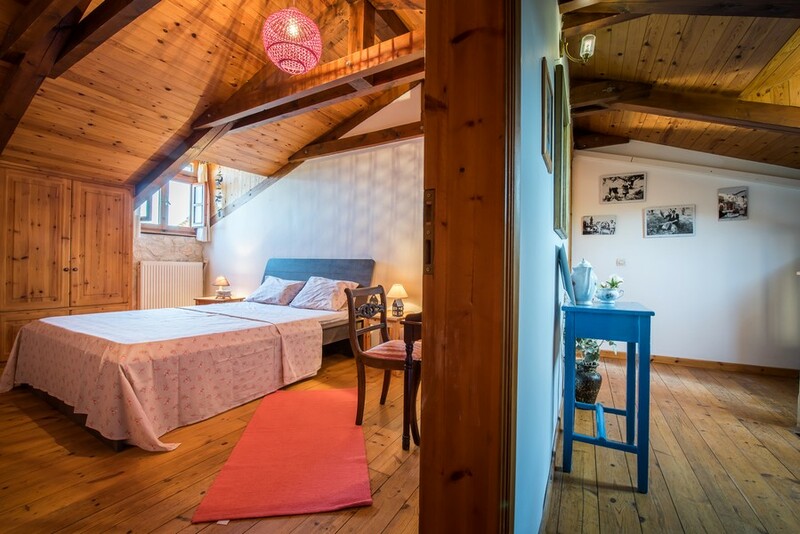 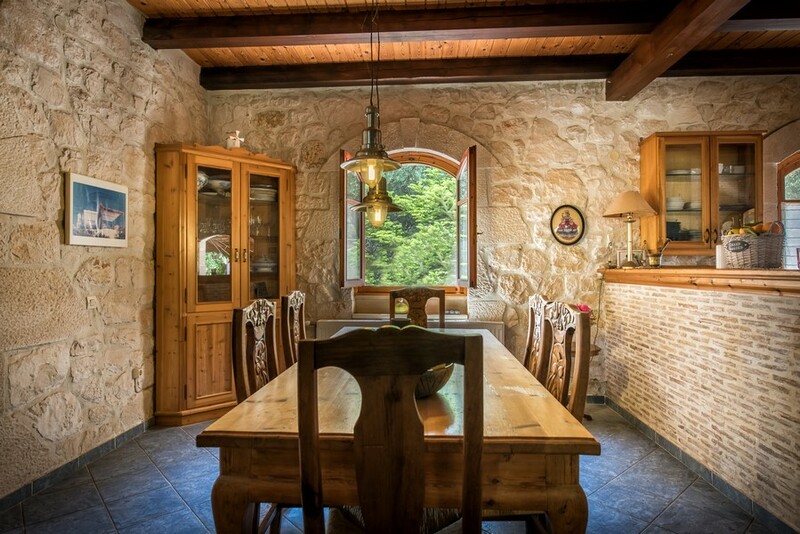 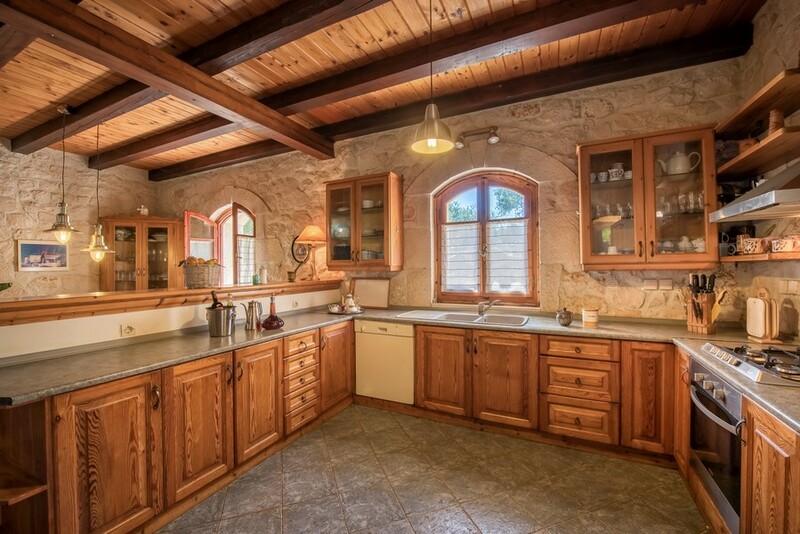 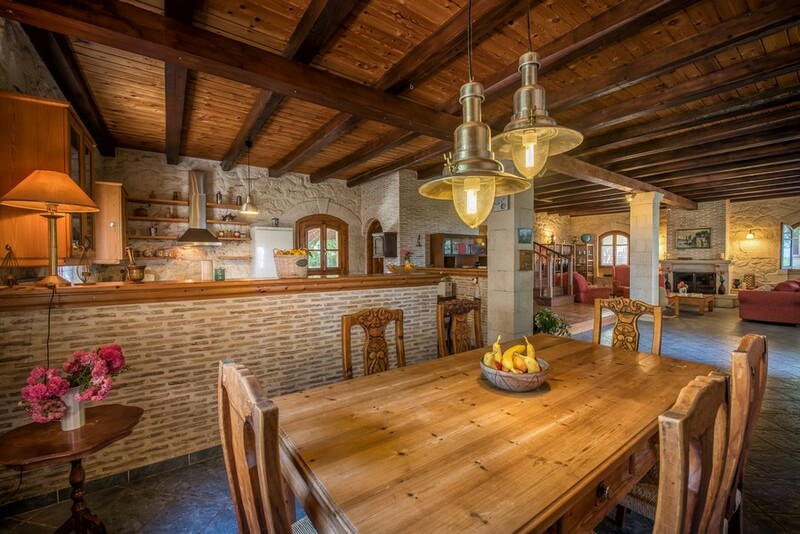 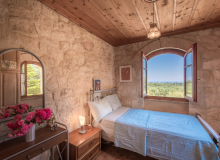 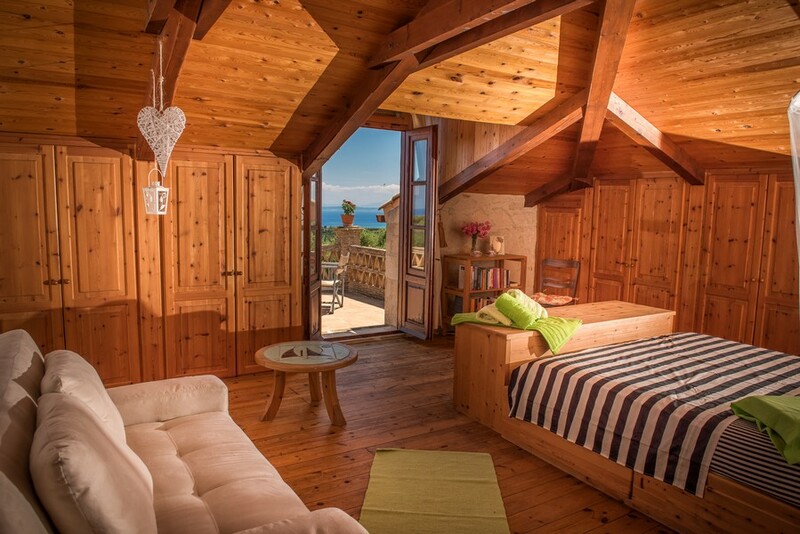 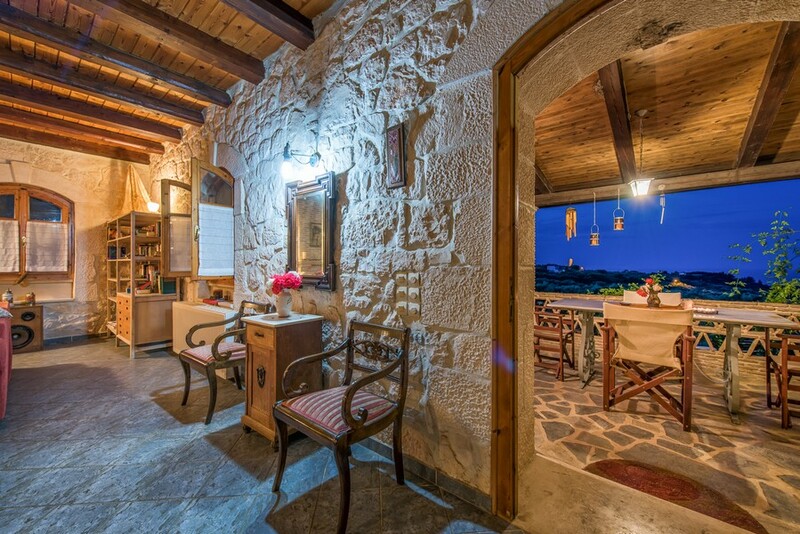 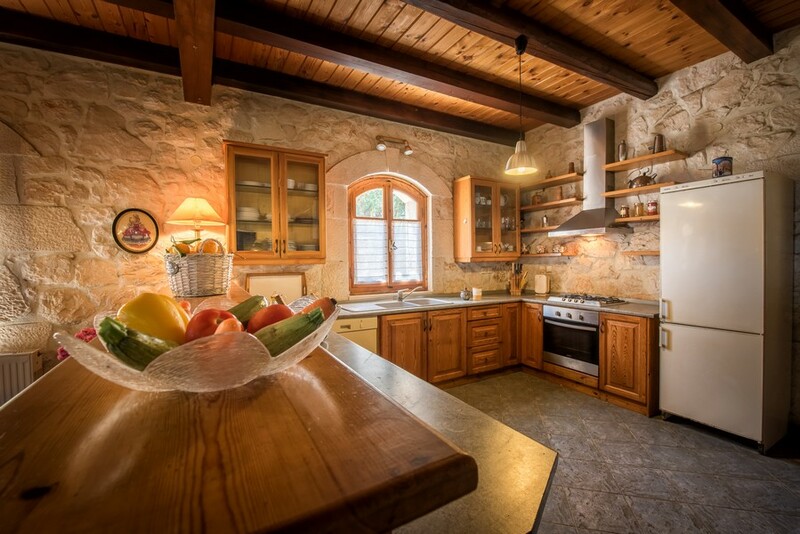 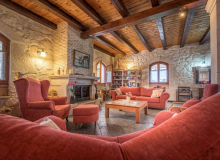 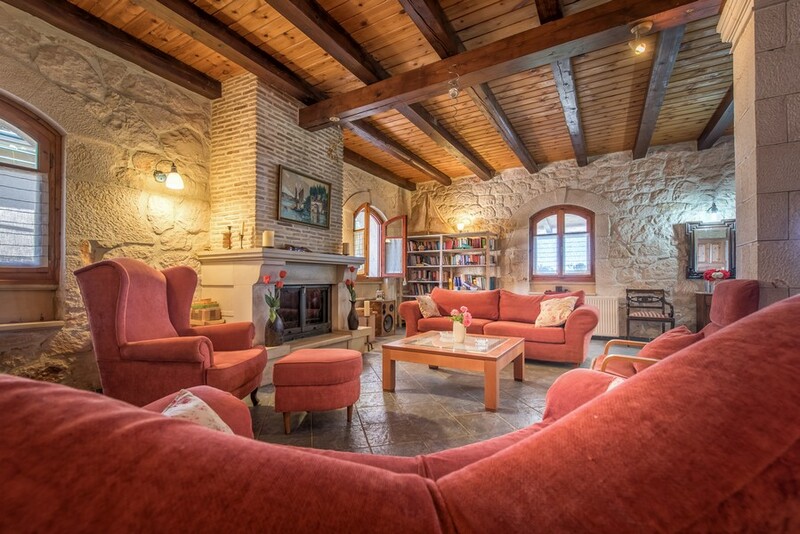 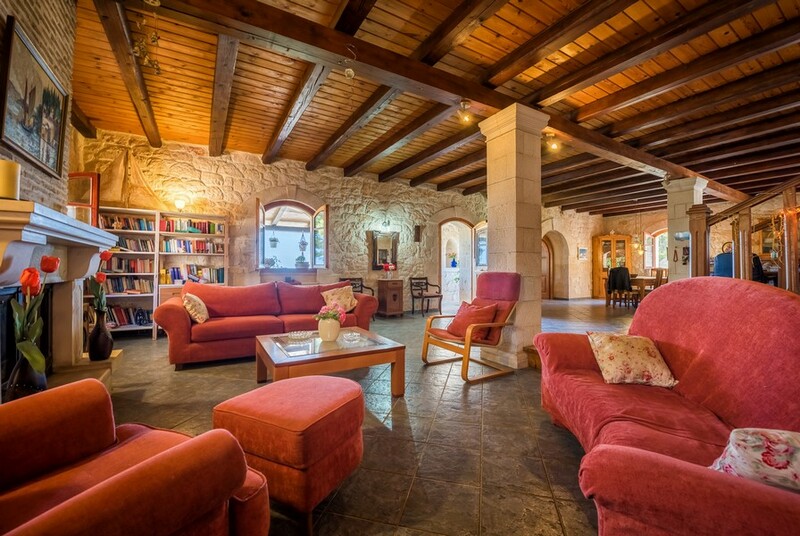 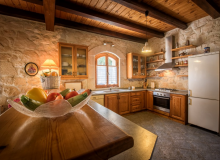 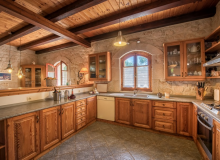 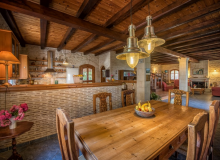 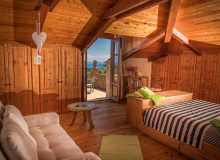 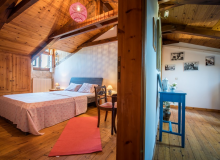 Kirstin Villa, in Dikopoulos Organic Farm, offers 4 bedrooms and is suitable for up to 9 guests. 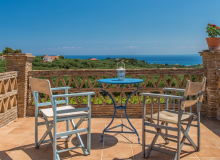 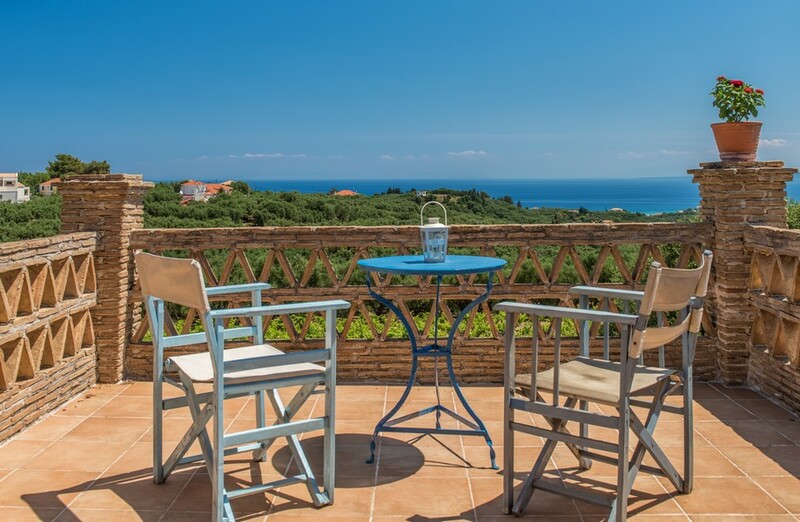 The villa is built within a private property of 7 hectares and offers plenty of space and amazing sea views. 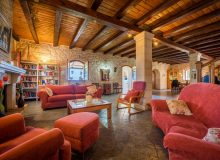 On the ground floor there is a spacious living room with fireplace as well as a fully equipped open plan kitchen and dining area. 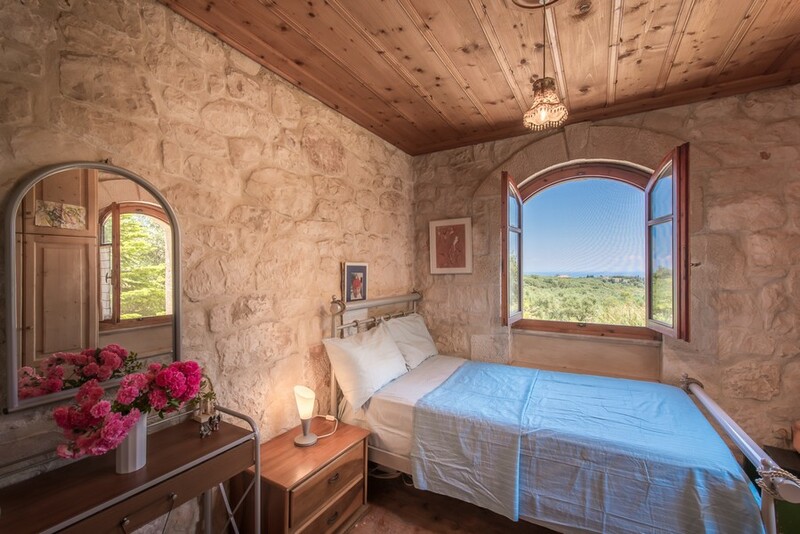 A small bedroom with double bed and a WC can also be found here. 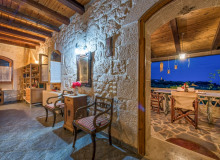 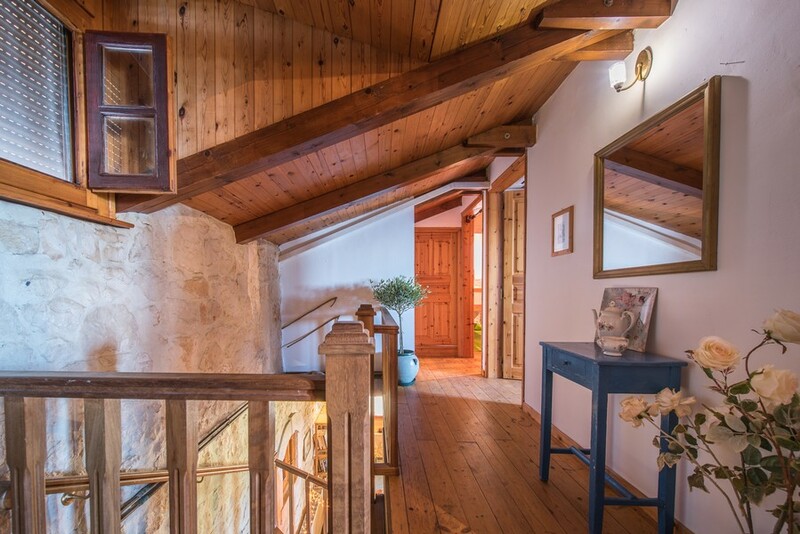 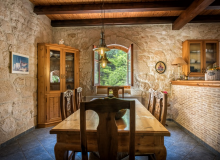 The kitchen door leads to the back yard and the barbeque with a traditional oven whilst on the front of the villa there is a furnished veranda with sea and garden views. 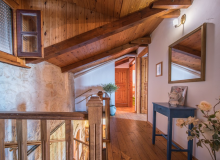 We reach the top floor through a wooden stair. There three bedrooms and two bathrooms are located. 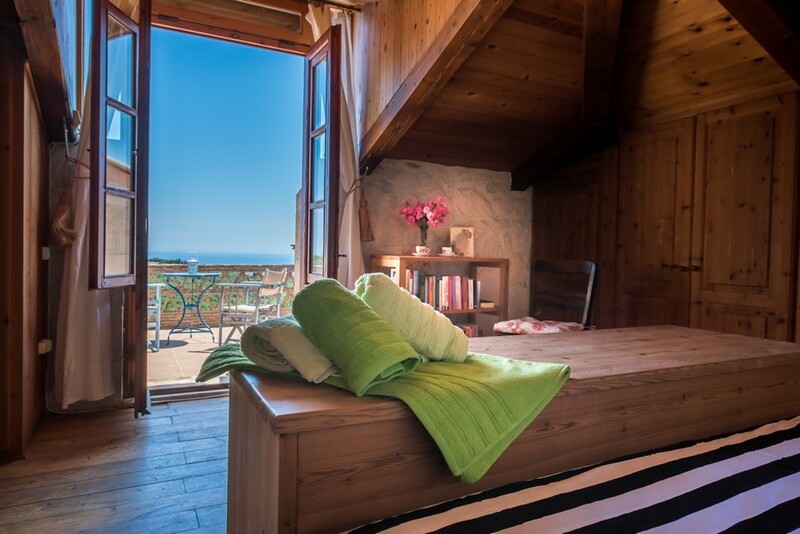 The master bedroom offers a queen bed and a double sofa bed as well as a private balcony with sea view. 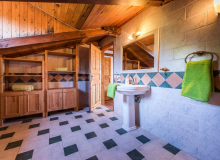 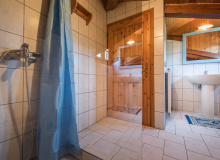 Next to it a room with double bed and one with two single beds are found along with two bathrooms one with bathtub and one with shower. 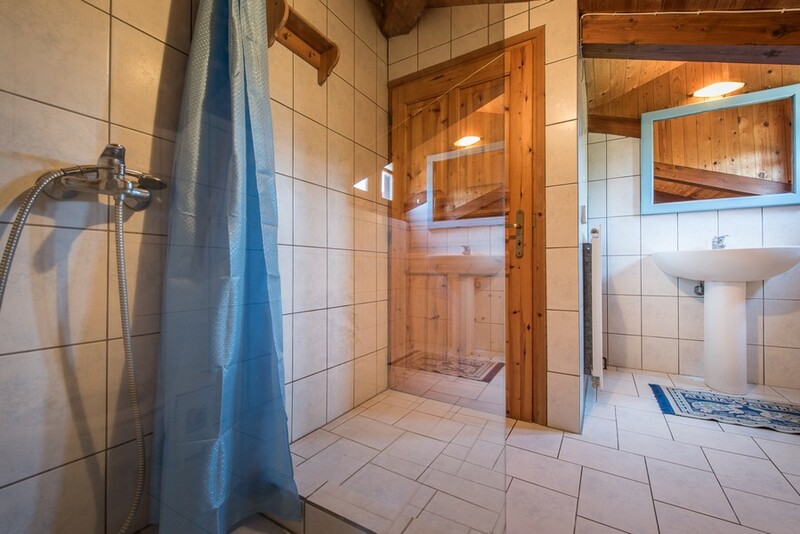 Private parking is also offered.